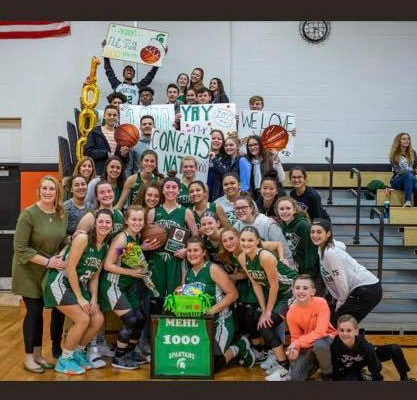 Steinert senior Natalie Mehl became the second Steinert basketball player to hit 1,000 points this season, as she scored 35 in a win over Hamilton Tuesday night to give her 1007 for her career. Mehl’s 1,000-point bucket came on a 3-pointer from the left corner in the second half. 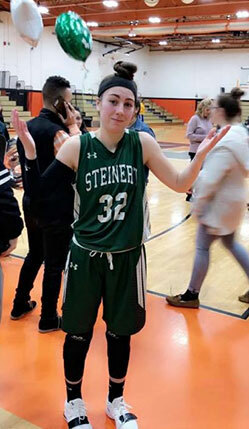 She joins fellow senior Mario Mazur on Steinert’s, 1000-point wall, as Mazur hit the mark earlier this month. Click below to see the video of Natalie’s historic shot.